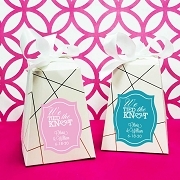 Consider these personalized clover honey favors from our English Garden Wedding Favors Collection. 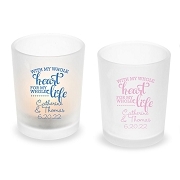 They are comprised of 1.75oz of pure gourmet honey, and each jar is decorated with floral motif personalized label. 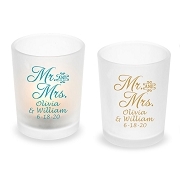 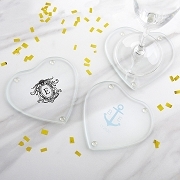 Personalize them with your names and your event date. 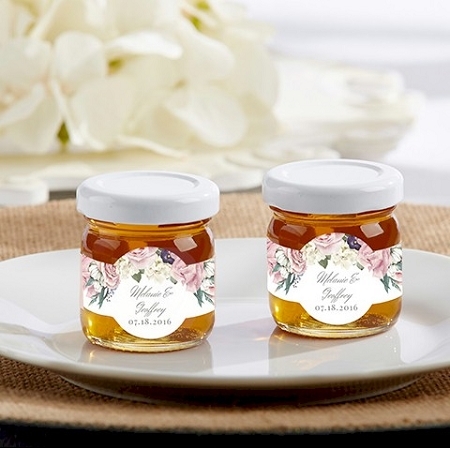 Especially perfect for a bridal shower tea party, these garden-themed honey jar wedding favors can show your guests just how sweet your day was with them!